Come with us and enjoy the rural charms and beguiling attractions of northern Japan as we travel off the beaten track to see rugged national parks, mountaintop temple communities, and enchanting hot spring villages. Our tour is packed with stunning locations and fascinating cultural experiences – including several World Heritage Sites. As part of this tour you’ll visit beautiful Matsushima Bay, considered one of the top three scenic views in Japan; historic Hiraizumi, whose golden temple rivals Kinkaku-ji in Kyoto for brilliance; samurai districts, castles with fortified moats, parks, gardens and hot spring villages plus picturesque rolling fields of lavender and other summer flowers. Come and join us – you’ll be so glad you did. Day 1 26 May, 2019 Tokyo Make your own way to Tokyo. Use your frequent flyer points or we will find the best fare for you and team you up with others who may be on the same flight. We recommend you arrive at least one day earlier in order to take part in the organised sightseeing today. If you are joining our tour from our Crystal Symphony cruise from Hong Kong to Tokyo this morning, we will commence our sightseeing after disembarkation in Yokohama. We begin our sightseeing of Tokyo with a visit to Meiji Shrine dedicated to the deified spirits of Emperor Meiji and his consort, Empress Shoken. Located just beside the JR Yamanote Line’s busy Harajuku Station, Meiji Shrine and the adjacent Yoyogi Park make up a large forested area within the densely built-up city. The spacious shrine grounds offer walking paths that are great for a relaxing stroll. Harajuku refers to the area around Tokyo’s Harajuku Station, which is between Shinjuku and Shibuya on the Yamanote Line. It is the centre of Japan’s most extreme teenage cultures and fashion styles, but also offers shopping for adults and some historic sights. 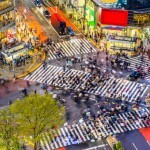 We’ll have a stop at Shibuya, one of Tokyo’s most colorful and busy districts, A prominent landmark of Shibuya is the large intersection in front of the station’s Hachiko Exit. The intersection is heavily decorated by neon advertisements and giant video screens and gets flooded by pedestrians each time the crossing light turns green, making it a popular photo and movie filming spot. Dinner is included tonight. Accommodation: Nikko Daiba (or similar) 3nights This property is a 7-minute walk from the beach. Grand Nikko Tokyo Daiba is the first Grand Nikko hotel in Japan, open from 1 July 2016. Situated in the Tokyo Bay area in Odaiba, this property is the closest city resort hotel to central Tokyo, a 20-minute monorail and train ride away from JR Tokyo Station. Free WiFi is available throughout the property. The spacious guestrooms of this hotel feature elegant European-style decor and come with free wired internet access throughout. All rooms include a flat-screen TV with satellite channels, feather pillow and seating area. The upper floors boast panoramic views of Tokyo Bay, as well as views of the Rainbow Bridge and Tokyo Tower. Day 2 27 May, 2019 Tokyo – Mt. 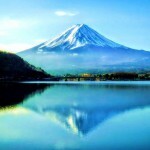 Fuji – Tokyo After breakfast begin our full day tour with a visit Ide Jozo located on the foot of Mt. Fuji in Yamanashi Prefecture. Originally, the company started as a soy sauce company in the 1700’s but begun the art of making sake from the second half of the 1800’s. Their line of sake is call “Kai no Kaiun” and it uses the fresh and pure spring water from Mt. Fuji. We visit the intriguing museum devoted to Kubota Itchiku, the artist who revived the lost art of Tsujigahana silk dyeing, used to decorate elaborate kimono during the Muromachi Period (1333-1573). 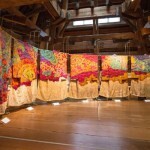 The museum stands in the wooded hills along the northern coast of Lake Kawaguchiko with several of the artist’s kimono creations on display depicting themes of nature, the cosmos and the seasons and parts of his unfinished masterpiece “Symphony of Light”, a huge work comprised of 80 kimono that together form of a picture of Mount Fuji. The extensive gardens, which were designed by Kubota Itchiku himself and stretch from the entrance gate far into the wooded slopes behind the museum buildings, are also worth a stroll. Artworks from various places in Asia and Africa are placed around the museum grounds. We’ll take a round trip on the Kachi Kachi Ropeway which ascends 400 meters from the eastern shore of Lake Kawaguchiko to an observation deck near the peak of Mount Tenjo. From the observation deck, which sits more than 1000 meters above sea level, there are panoramic views of the lake below and of Mount Fuji. We’ll have delightful treat to end our sightseeing today with a visit to Yamanakako Hanano Miyako Park. This is a flower field of 300,000 sq m located at the base of Mt.Fuji filled with millions of seasonal flowers and with glorious views of Mt.Fuji behind. 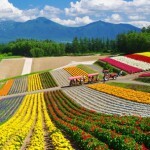 The park is located really close to one of the famous Fuji 5 Lakes, Lake Yamanaka and yet, this flower park is not well known and remains a hidden treasure of Japan. Evening is at leisure. Day 3 28 May, 2019 Tokyo After breakfast we begin the day with a visit to Tsukiji Market, a large wholesale market for fish, fruits and vegetables in central Tokyo. It is the most famous of over ten wholesale markets that handle the distribution of food and flowers in Tokyo. Tsukiji Market is best known as one of the world’s largest fish markets, handling over 2,000 tons of marine products per day. 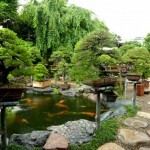 A change of pace as we visit the serene and beautiful Shunkaen Bonsai Museum. The garden with carp swimming gracefully in the pond and the classically sublime Japanese-style house are lined with over a thousand works of bonsai. Each miniature tree is tasteful in a unique way, and all embody beauty and dignity. We continue our tour with a stop at Asakusa Kannon Temple, one of Tokyo’s most colorful and popular Buddhist temples.The temple was completed in 645, making it Tokyo’s oldest temple. A shopping street of over 200 meters, called Nakamise, leads from the outer gate to the temple’s second gate, the Hozomon. Alongside typical Japanese souvenirs such as yukata and folding fans, various traditional local snacks from the Asakusa area are sold along the Nakamise. The shopping street has a history of several centuries. 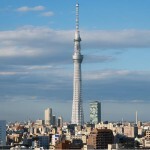 We visit Tokyo Skytree, a television broadcasting tower and landmark of Tokyo. With a height of 634 meters it is the tallest structure in Japan and the second tallest in the world at the time of its completion. A large shopping complex with aquarium is located at its base. The highlight of the Tokyo Skytree is its two observation decks which offer spectacular views out over Tokyo. The two enclosed decks are located at heights of 350 and 450 meters respectively, making them the highest observation decks in Japan and some of the highest in the world. Tembo Deck, the lower of the two decks is 350 meters high and spans three levels with great views from all of its floors. The top floor features tall, broad windows that offer some of the best 360 degree panoramic views of the city. The middle floor has a souvenir shop and the Musashi Sky Restaurant, which serves French-Japanese fusion cuisine, while the lowest floor features a cafe and some glass panels on the ground from where you can look all the way down to the base of the town. Day 4 29 May, 2019 Tokyo – Aizu Wakamatsu – Sendai We’ll be travelling by bullet train today and our luggage will be delivered to our hotel in Sendai. We have a full day touring the Aizu-Wakamatsu area en-route to Sendai. This is a castle town with a long samurai tradition. We visit Ouchijuku a former post town along the Aizu-Nishi Kaido trade route, which connected Aizu with Nikko during the Edo Period. Restrictions set by the shogunate required travelers to make their long journeys on foot and as a result, post towns developed along the routes to provide travelers with food, accommodations and rest. Today, Ouchijuku has been restored to look as it did in the Edo Period with telephone and electricity wires buried. 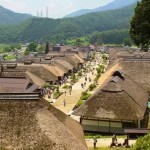 The unpaved main street is lined by thick thatched roof buildings, which house a variety of shops, restaurants and minshuku (small traditional Japanese inns). Soba noodles and locally caught char fish roasted on sticks are popular specialties. A fter lunch (own expense) we’ll visit Tsuruga Castle which was built in 1384 and changed hands many times between the different rulers of the Aizu region. It was destroyed after the Boshin War of 1868, a rebellion against the newly formed Meiji government, which had taken over control from the Tokugawa shogun and put an end to Japan’s feudal era. Tsuruga Castle was one of the last strongholds of samurai loyal to the shogunate. The castle was rebuilt as a concrete reconstruction in the 1960s. In renovation works completed in 2011, the color of the roof tiles was reverted from grey to the original red, a unique color among Japanese castles. Visitors can climb to the top floor of the castle keep and look out onto the surrounding city. The inside of the building is an interesting museum with attractive displays about the history of the castle and the samurai lifestyle. We continue our drive to Sendai and check into our hotel. Dinner is included tonight. Accommodation: Westin Hotel Sendai (or similar) 2 nights Set on 28-36th floors of Sendai’s tallest building, Westin Hotel Sendai offers a luxurious accommodation just a 10-minute walk from JR Sendai Station. Guests can work out in the free-use gym or receive rejuvenating massages at the on-site salon. 2 restaurants and a bar are available on site. Wi-Fi is provided at an additional charge. Fitted with chic furnishings and floor-to-ceiling windows, rooms come with modern facilities like satellite LCD TV. A fridge, an electric kettle and minibar are included. The large en suite bathroom has a bath tub, a shower booth and free toiletries. Day 5 30 May, 2019 Sendai – Matsushima – Sendai We spend the day exploring the Matsushima area. 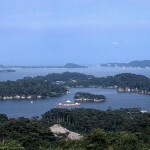 Located half an hour outside of Sendai, Matsushima is famous for its bay, which is dotted by many pine clad islets and has been ranked one of Japan’s three most scenic views for centuries. We’ll enjoy the bay on a short cruise before visiting Godaido Temple, a small temple hall on an islet just next to the pier. Due to its prominent location, it has become a symbol of Matsushima. Godaido was built in 807 and contains five statues which where enshrined by the same priest who founded nearby Zuiganji. The statues are displayed to the public only once every 33 years, and were last displayed in 2006. We’ll have free time for lunch before visiting one of the Tohoku Region’s most famous and prominent Zen temples, and well known for its beautifully gilded and painted sliding doors (fusuma). Zuiganji was originally founded in 828 as a temple of the Tendai sect, and was converted into a Zen temple during the Kamakura Period (1192-1333). After years of decline, Zuiganji was restored to prominence by the feudal lord Date Masamune who rebuilt it as his family temple in 1609. Zuiganji is a reflection of the natural beauty of Matsushima, and upon entering the temple grounds, the approach to the main hall proceeds along a long, straight path flanked on both sides by cedar trees (some of them were unfortunately damaged by the salt water of the tsunami and had to be cut). An alternate path detours off to the right of the entrance and by a number of caves that were used in the past for meditation, and today contain statues. 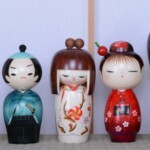 Before heading back to Sendai we’ll visit Naohide Kokeshi where you can create your own wooden kokeshi doll. You will be given a plain wooden doll and some instructions. Motivation for ideas are all around the store, but the possibilities are as endless as your imagination. This is really fun as you can have a fun time chatting and laughing at your awesome art or fancy failures. Evening is at leisure. Day 6 31 May, 2019 Sendai-Hiraizumi – Lake Towada After breakfast we explore the Hiraizumi area en-route to Lake Towada. Our luggage is sent on to Sapporo and you will bring a small bag for your 3 nights in Lake Towada. 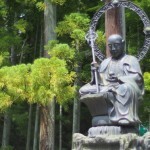 We visit Hiraizumi’s most famous attraction, Chusonji, established in 850 as a temple of the Tendai sect of Buddhism. The temple came to prominence when the northern branch of the Fujiwara clan moved their base to Hiraizumi. At its peak, the temple consisted of a large network of dozens of buildings. Accommodation: Lake Towada Prince Hotel (or similar) 3 nights On the shores of Lake Towada, this relaxed hotel in a wooded area is 10 km from the Towada Shrine and 8 km from the Shiroko Pass Observatory. The streamlined rooms have a Zen-like vibe, and come with satellite TV, minifridges and tea making facilities. An airy French restaurant offers views of the lake. Other amenities include a lobby lounge, 2 tennis courts and an open-air hot spring pool. There’s also a lawn with seating. Day 7 01 June, 2019 Lake Towada – Kakunodate – Lake Towada After breakfast we explore the Kakunodate samurai district, which once housed about 80 families and is one of the best examples of samurai architecture and housing in the country. 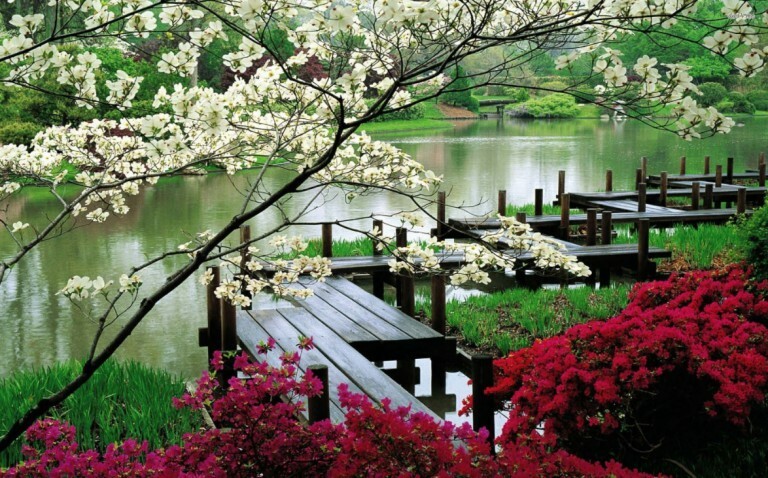 Its wide streets and large courtyards are shaded by dozens of weeping cherry trees which bloom in early May. 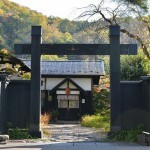 Of the samurai houses that remain intact, six are open to the public and offer visitors the chance to see how middle class and wealthy samurai families might have lived. We continue our sightseeing with a visit just south of Towada-Hachimantai National Park, Lake Tazawa (Tazawako), a scenic caldera lake that has not been overly developed and retains a natural and rustic atmosphere. Lake Tazawa has much in common with Lake Towada, but while Lake Towada is the largest caldera lake in the country, Lake Tazawa is Japan’s deepest lake with a depth of 423 meters. Evening is at leisure. Day 8 02 June, 2019 Lake Towada We spend the day exploring Lake Towada. Lake Towada ,the largest caldera lake on Honshu, Japan’s main island. It is characterized by two large peninsulas, which extend nearly a third of the way across the lake. 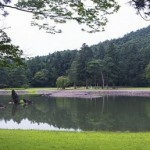 Lake Towada is surrounded by a steep, forested caldera rim that rises several hundred meters above the lake’s surface. We’ll take a cruise on the lake as this offers close-up views of the peninsulas that are otherwise difficult to see. We’ll visit Oirase Stream, a picturesque mountain stream in Aomori Prefecture that flows along the floor of the Oirase Gorge, winding among trees which, while a lush green in spring and summer, turn brilliant shades of red, yellow and orange from late October through early November. Over a dozen waterfalls cascade down into the stream all along its length from the walls of the gorge. Evening is at leisure. 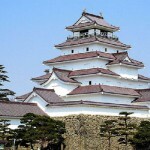 Day 9 03 June, 2019 Lake Towada – Hirosaki – Sapporo After breakfast we begin our journey to Sapporo with a stop at Hirosaki Castle, built in 1611 by the Tsugaru Clan. A three-story castle tower, fortified moats, castle gates and some corner turrets (yagura) survive or were reconstructed. 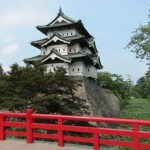 The castle is located in Hirosaki Park, a spacious public park of about 0.6 square kilometers. The castle’s original five-story keep burnt down in 1627 after being struck by lightning. Rebuilt in 1810, the present three-story keep is the only one in the Tohoku Region that was not rebuilt in the modern era, among only a handful in all of Japan. We continue the journey via bullet train and limited express to Sapporo. Dinner is included tonight. Accommodation: JR Tower Hotel Sapporo (or similar) 3 nights Offering direct access from JR Sapporo Train Station, JR Tower Hotel Nikko Sapporo offers accommodations with free Wi-Fi and wired internet. Guests can refresh in the hot tub and request relaxing massages for an extra cost. The hotel boasts 4 dining options, in which 2 restaurants are located on the 35th floor offering panoramic views of Sapporo city. The comfortable air-conditioned rooms feature a flat-screen TV, a safety deposit box and a fridge. Guests can use the electric kettle to make green tea. The en suite bathroom comes with a hairdryer. Guests can enjoy the public baths and various sauna rooms after a long day. Located on the 35th floor, Tancho Sky Restaurant offers Japanese dishes featuring seasonal local ingredients, while Western dishes and a spectacular night view is available at Sky J Restaurant and Bar. French cuisine is served at Mikuni Sapporo and light meals at Café Serena. Nikko Hotel Sapporo JR Tower is a 10-minute walk from Odori Park and a 20-minute walk from Sapporo Beer Museum. New Chitose Airport is a 40-minute train ride away. Day 10 04 June, 2019 Sapporo- Yoichi – Otaru – Sapporo After breakfast we drive to Yoichi and visit Nikka Whisky, a historic distillery inheriting the spirit of whisky distillation in Japan. We continue on to Otaru, a small harbor city with a beautifully preserved canal area and interesting herring mansions. 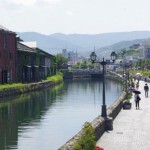 We take a walk around Otaru Canal, once a central part of the city’s busy port in the first half of the 20th century and now beautifully restored in the 1980s with the warehouses transformed into museums, shops and restaurants. The canal makes for a pleasant stroll during the day, when artists present their works to passing tourists. We’ll take a walk on Sakaimachi Street, an attractive, preserved merchant street in central Otaru, a short walk from the city’s canal area and stop in at the Music Box Museum spread across a number of buildings around the Ironai-dori area, which in all contains over 25,000 music boxes! Characterised by its creaking wooden floorboards, shining ornaments, and ever-present twinkling of intricately designed music boxes, Otaru Music Box Museum feels almost a homey escape to the nineteenth century Swiss Alps. Anyone who visits will appreciate the magical atmosphere of the setting. As Otaru is known as a town of glass manufacturing which began with the production of kerosene lamps and floating balls used in the herring fishery in the 20th century, no visit would be complete without a visit to the oldest and most famous shop Kitaichi Glass. The Kitaichi Glass Sangokan is a historical stone on wood frame building dating back to 1891, originally constructed as a fishery warehouse, best known for the grand hall lit with one-of-a-kind oil lamps, and wide selection of charming Kitaichi Glass products. Day 11 05 June, 2019 Sapporo – Furano – Biei – Sapporo After breakfast we begin our tour to the centre of Hokkaido, visiting Furano and Biei, towns known for their pleasant and picturesque rural landscapes and most famous for their picturesque rolling fields of lavender and other summer flowers. 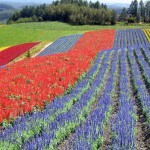 Until snow falls in October, Tomita’s fields are covered in a rainbow array of flowers. 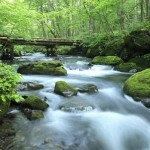 With the mountains of Daisetsuzan National Park as a backdrop, this is one of the most photographed spots in Hokkaidō. In the middle of Furano’s downtown is a spacious cluster of shops called Furano Marche, the ultimate food paradise. Furano Marche is very much catered for foreigners, serving as a one-stop souvenir shop selling items from Farm Tomita and Cheese Factory but locals also frequent Furano Marche for all its yummy food. Sounds perfect for our lunch break (own expense) after which we’ll drive on to Biei, located almost at the center of Hokkaido, in the hilly district at the foot of the Tokachidake Mountain Range (Daisetsuzan National Park). It was only in the 1970’s that the town became regarded as one of the best sightseeing spots in Hokkaido. We’ll finish our gorgeous day with a visit to Shikisinooka, a flower garden in Biei-cho, a scenic town on a hill. 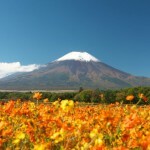 Here, a 7-hectare hill is carpeted with flowers from April to October. You can enjoy colors and fragrance of several dozen different flowers such as tulip, lupine, lavender, salvia, sunflower, dahlia and Japanese anemone according to the season. We return to Sapporo and have the evening at leisure. Day 12 06 June, 2019 Sapporo Sadly our tour has come to an end after breakfast. We would be happy to assist with your onward travel arrangements.